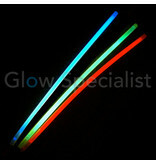 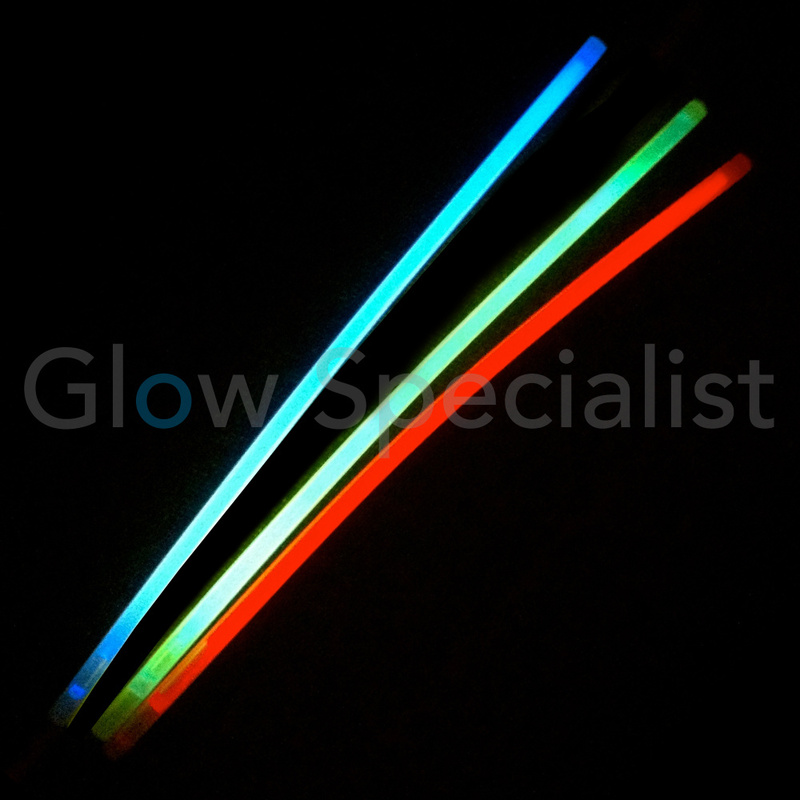 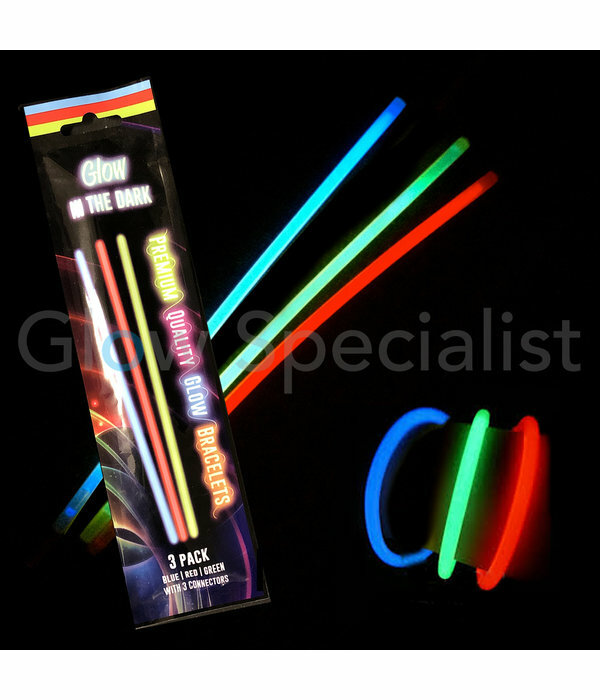 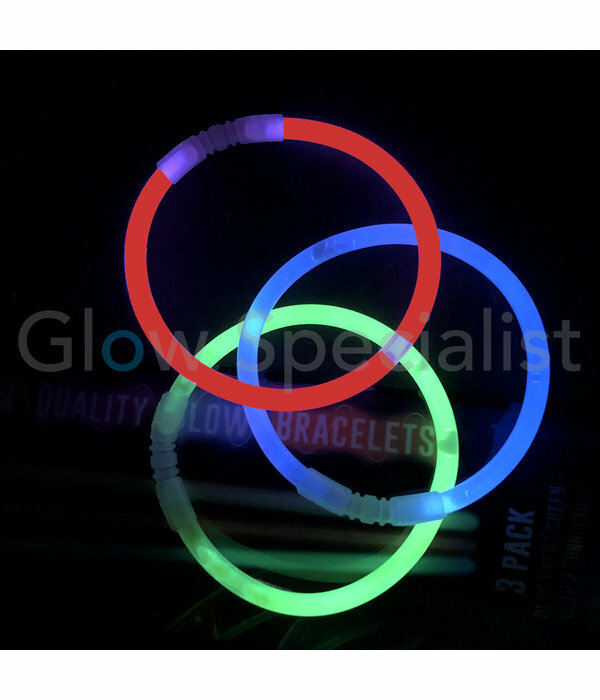 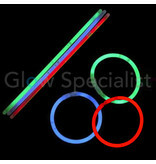 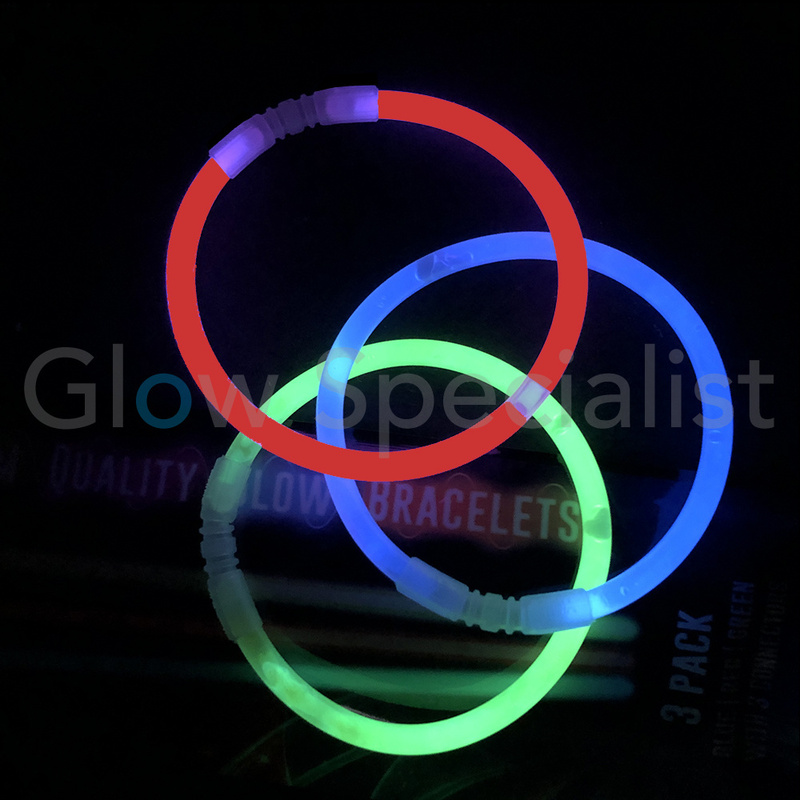 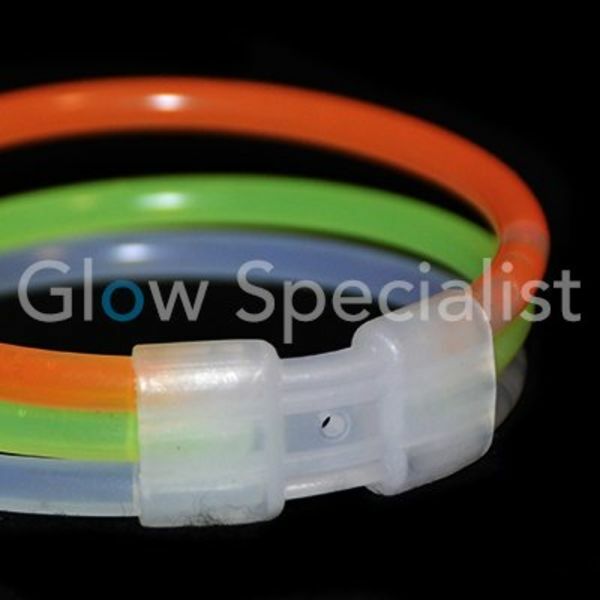 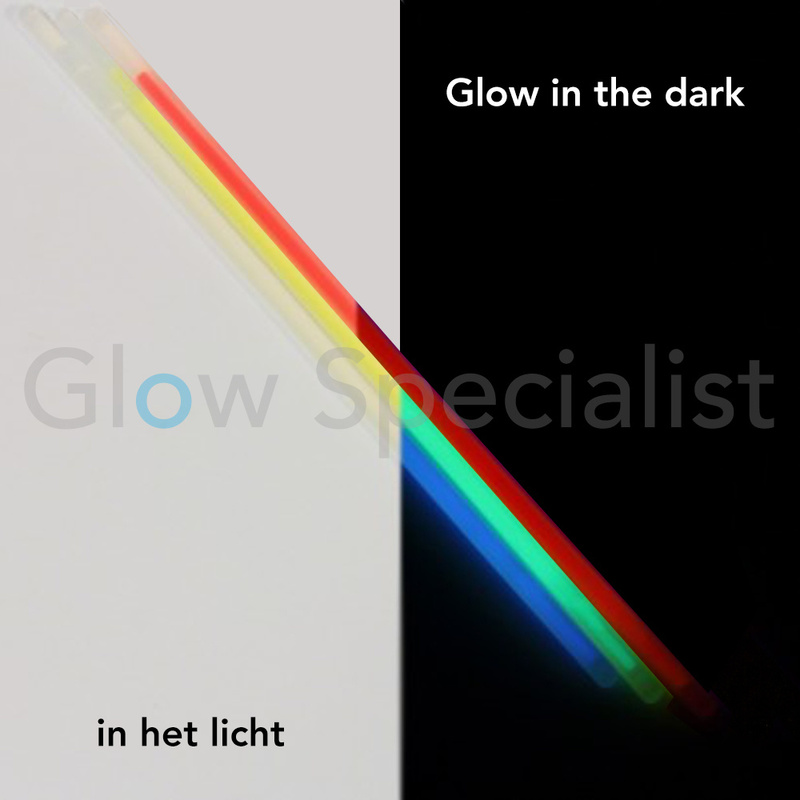 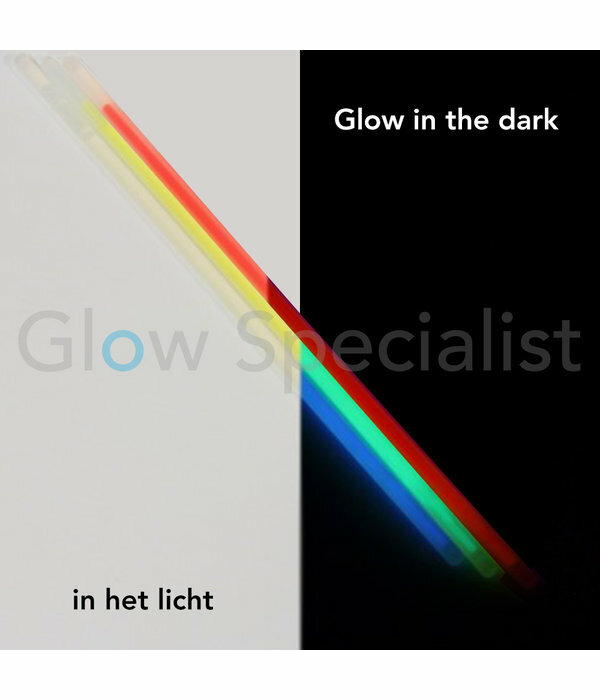 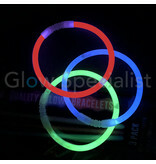 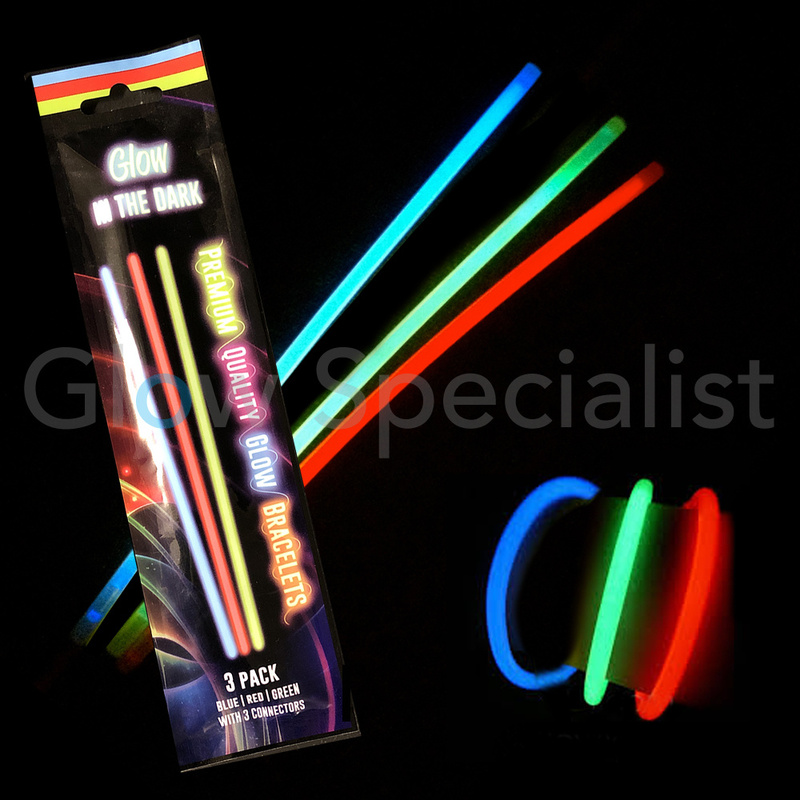 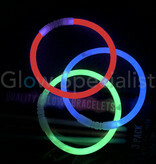 Set with three different colored glow sticks including connectors to make 3 glowing glow bracelets. 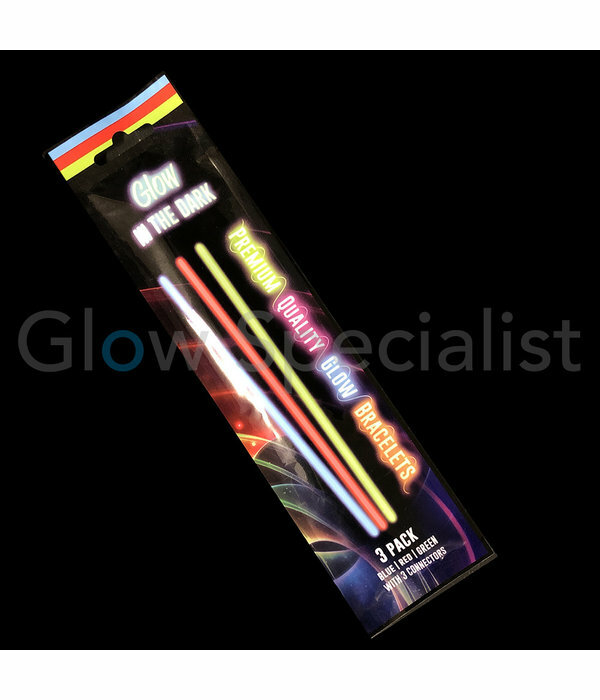 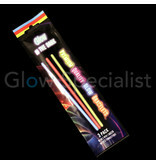 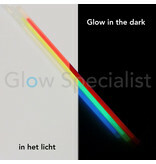 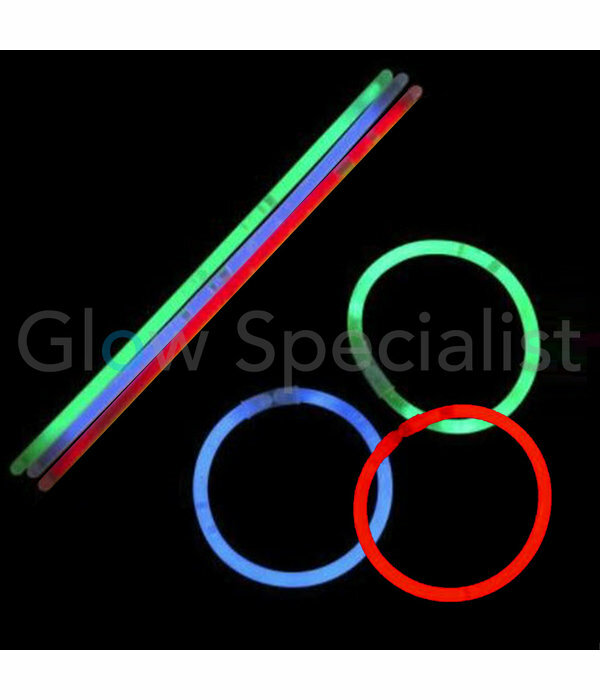 The set contains 1x blue, 1x red and 1x green glow stick. 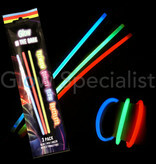 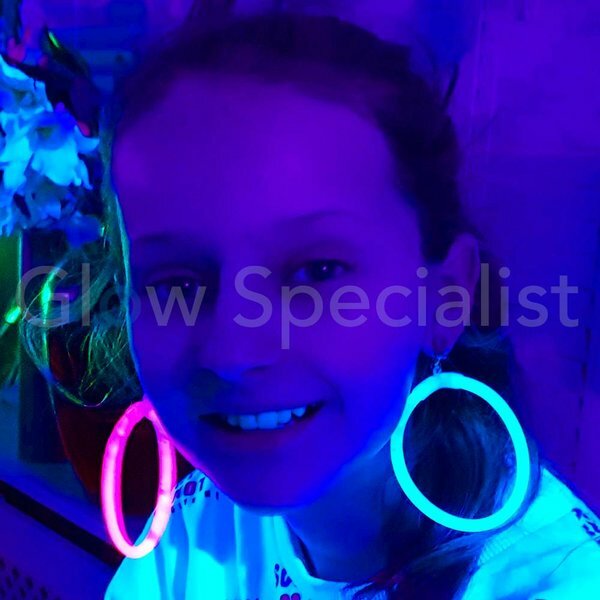 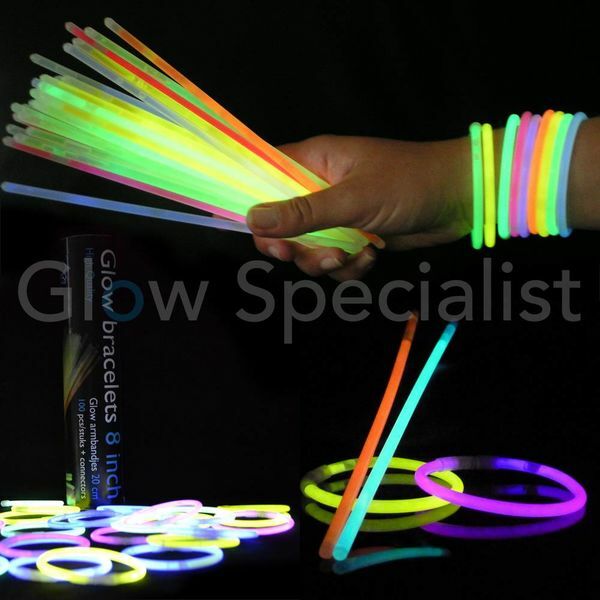 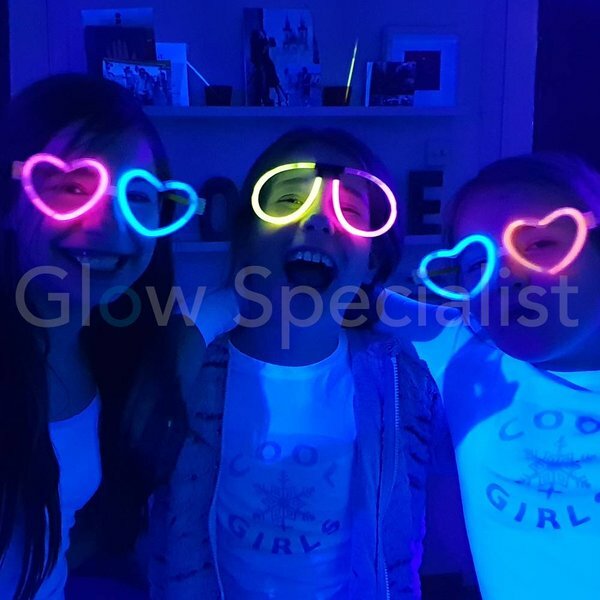 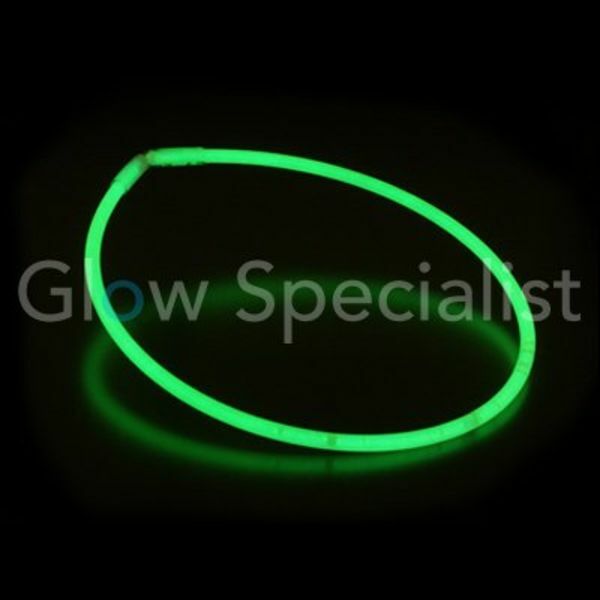 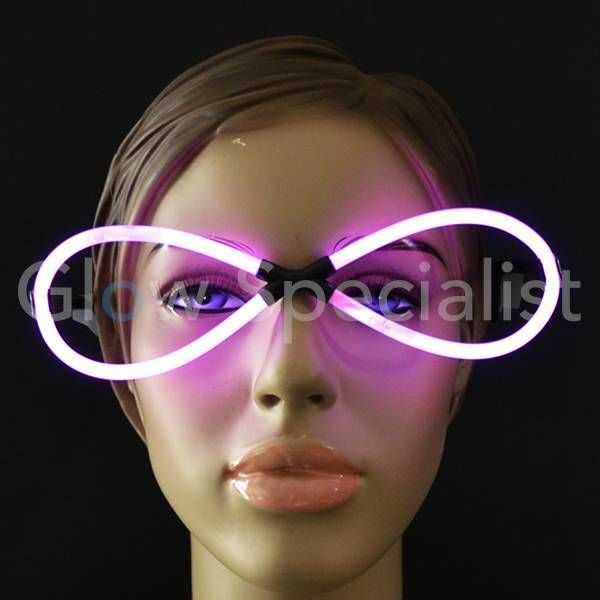 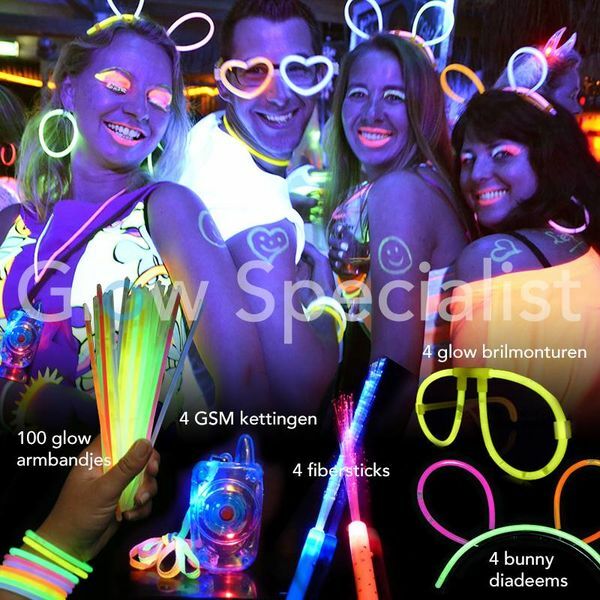 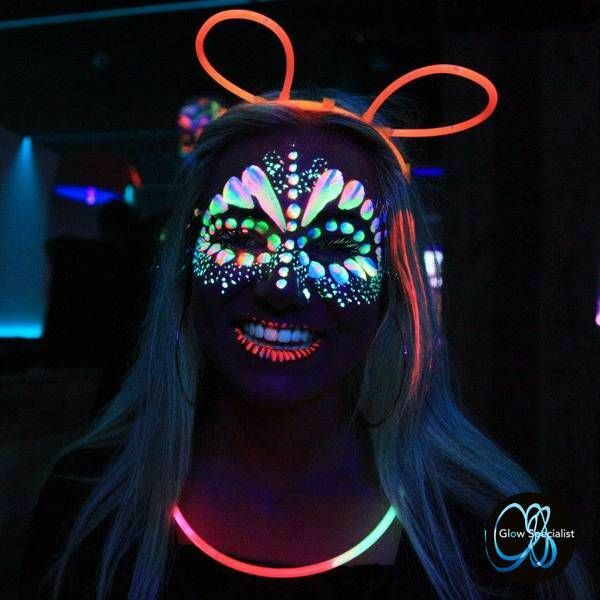 Perfect for a Glow in the dark party, Glow in the dark run, concert or as a give-away!